I just finished reading a book that I didn’t know I needed to read. I wasn’t looking for it. Had it not been given to me, I most likely wouldn’t even know about it. Why did I need to read it? Because I didn’t know what I didn’t know. The first part informed me about the story of race. Racism in the United States is worse than we thought, its lasting consequences are more significant than we think, and our responsibility is greater than we’ve been taught…There are many things that can only be seen through eyes that have cried. Because I needed to see this subject through the lens of God’s kingdom. The second part took me deeper into the truth of equality. 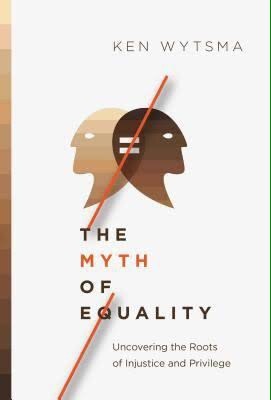 If every person is made in the image of God, then stereotypes lead us down a dangerous path…Racial equality and fairness is not just a good thing but an ideal that we must work toward if we are to fully realize Christian obedience, national justice, and individual flourishing. Because I needed to know about my privilege. The final part challenged me to listen and learn, lament, confess, and lay down. White privilege doesn’t mean your life isn’t hard. It means if you are a person of color, simply by virtue of that, your life might be harder…If any part of justice matters then all of justice should matter. Most likely, you didn’t know about this book before reading this post. You need to look for it. You need to read this book.